Orders can be made using PayPal or via credit card. The PayPal system provides security for both types of transactions. 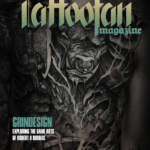 Issue 8 of Tattoo Fan Magazine is full of more great interviews, articles and features. Bringing you closer to the skin alongside the artists we are thrilled to share with you! 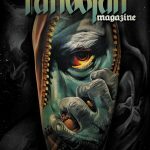 Issue 7 of Tattoo Fan Magazine is shaping up to the best yet, with more excellent interviews, articles and features on the world of tattooing. As always, we aim to bring you the best, freshest content from around the tattooing world! 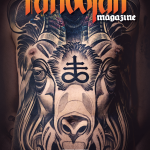 The 6th issue of Tattoo Fan Magazine will feature Popek Monster and Marcin Łukasiewicz! Every month we work to bring you the most up to date news throughout the industry and plenty of interesting interviews and content to look forward to. 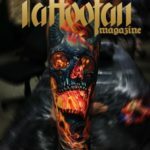 The main interviews in the 5th edition of Tattoo Fan Magazine will be none other than the legendary Zappa Razzi, Sile Sanda, Alex Rattray, Cecil Porter, and Joanna Zielinska! As with every month, there will be a huge amount of awesome and interesting articles as well as up-to-date information and news within the industry. Take a journey into the mind of the lines and shapes with the Shamanistic Piotr Szot and learn more about him and his methods. More interviews within this issue contain the black & grey wonderkid Owen Paulls, the surrealistic Piotr Dedel and the realism expert Jozsef Torok, and more! As always there are more wonderful articles inside. Our December issue was sure packed with wonderfully wrapped articles and interviews. Featuring the world-class Grindesign as our cover along with the phenomenal black and grey wizard Thomas Carli-jarlier and crazy styles of Łukasz Sokołowski. Own a copy today! Our second issue is filled with star studded realism talents from across the world. 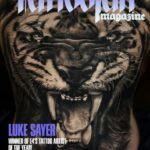 It kicks off with E4’s Tattoo Artist of the Year’s Luke Sayer as our featured cover artist, along with one of the most respected names in Europe – Pavel Krim, before going back to the UK in the form of the ever so talented Jurgis Mikalauskas & colourful Damian Gorski. This issue contains the interviews of the wonderfully talented Ben Kaye, Yarson Stahowic, Tomasz ‘Tofi’ Torfinski & Daryl Watson as well as some interesting articles! Like us on our social media pages!